Exploring the connections between Knoll and the German design school To lovers of modernist furniture, the interwoven history of the iconic furniture brand Knoll and the Bauhaus design school is well known. Many of the most famed industrial designers of Bauhaus ended up on Knoll?s roster thanks to the pioneering eye of Florence Knoll Bassett. In a new exhibition launching in Milan called ?Knoll Celebrates Bauhaus,? the furniture brand explores the intersecting stories of the two design powerhouses through a series of interactive installations curated by Office for Metropolitan Architecture (OMA) partner Ippolito Pestellini Laparelli and Milan-based curator Domitilla Dardi. Each of the scenes examines a different aspect of Bauhaus/Knoll history through a carefully crafted array of furniture and objects. 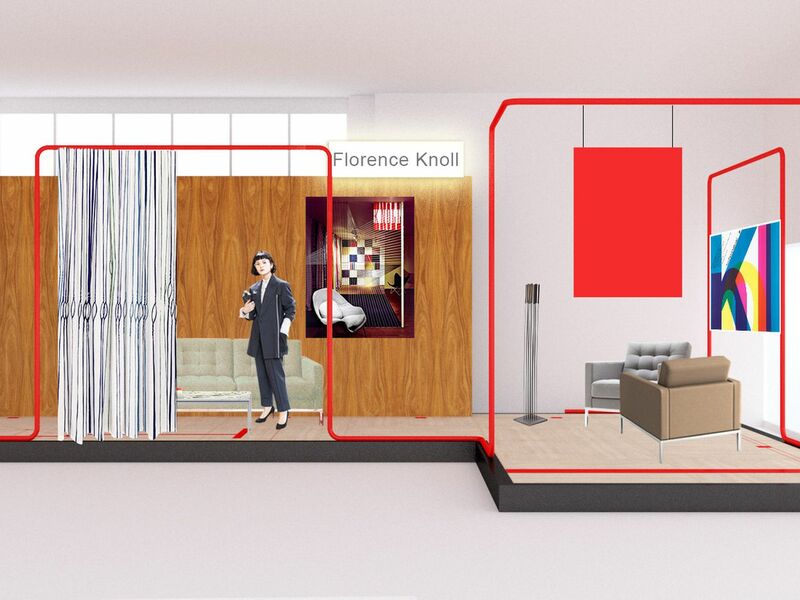 The four installations are dedicated to Florence Knoll, Mies van der Rohe, Marcel Breuer, and to how Bauhaus design fits into the world of contemporary design. ?We have imagined true sets in which different objects exist in an ideal domestic scenario?a meta-interior?offering the visitor the possibility of activating and discovering them,? Laparelli said.